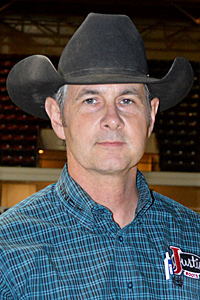 Sweat Son, by Metallic Cat, scored 221.5 points under Lloyd Cox to win the 2017 PCCHA Futurity Open 4-year-old finals and $16,000 on Tuesday, October 10, in Las Vegas. Betchalou, shown by Morgan Cromer, and SVR Caught Ya Lookin, with Grant Setnicka, each scored 219 points to earn $12,500 and split second and third. This was the third major win in 2017 for Sweat Son LTE $71,665, who is owned by N.W. VandeSteeg, Hailey, Idaho. The red roan stallion also won the Cotton Stakes with Cox and the Pacific Coast Winter Roundup with Tom Shelly, and placed second in the PCCHA Cutting Stakes with Cox.